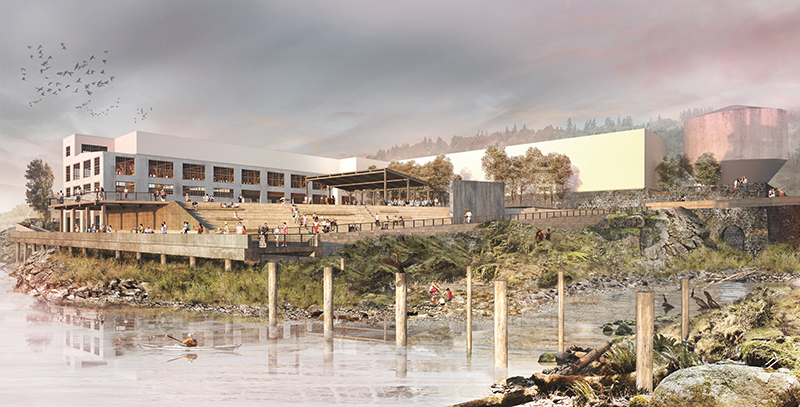 Metro councilors on Thursday unanimously approved the Willamette Falls Riverwalk master plan, the long-term vision that will guide development and public access at the former Blue Heron paper mill site in downtown Oregon City. The riverwalk, trails, a public boat dock and other amenities will bring visitors up close to North America’s second most powerful waterfall, which has remained largely hidden behind industrial buildings for more than a century. The first phase of the riverwalk could open as early as 2022, pending approval of permits. Building the riverwalk is the first step in the larger Willamette Falls Legacy Project, a collaboration between Oregon City, Clackamas County, Metro and the State of Oregon. Oregon City commissioners are expected to consider approving the master plan in February. The riverwalk would be built in phases. The first phase includes repurposing the boiler complex and Mill H buildings to provide upper and lower scenic overlooks. It would also provide for some restoration work, public gathering places and the demolition of some of the more than 50 buildings to prepare the site for future improvements. The first phase, including the planning work done to date, is estimated to cost $25 million. Metro contributed $5 million using money from the natural areas bond measure voters approved in 2006. Rediscover the Falls, the nonprofit friends group, is hoping to fundraise $10 million for the first phase of the riverwalk.